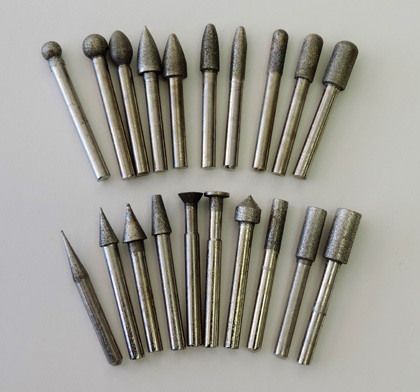 This Diamond rotary tool set comes with 20 shapes for grinding or cleaning up all types of projects. The diamond impregnated shapes clean up ceramics with ease. Fits any drill, and most rotary tools. 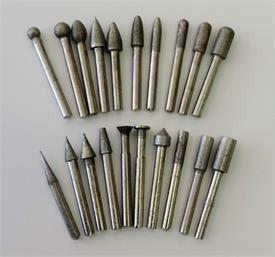 (Some rotary tools vary in check size) Works on raw, bisqued, or high fired ceramic. Also works on metal.